Palestinian President Mahmoud Abbas was admitted to a hospital in Ramallah today after undergoing surgery last week, marking the third time Abbas has been treated in a hospital over the past few days. 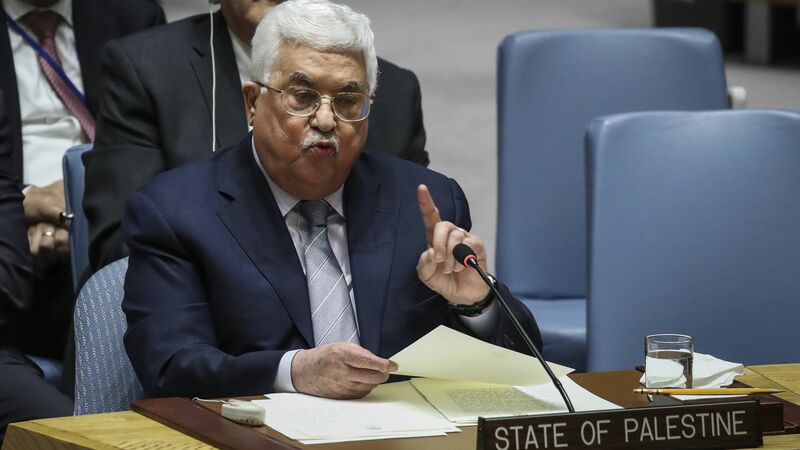 Why it matters: Abbas is 82 years old and has no agreed-upon successor from within his Fatah Party, the Palestinian Authority, or the Palestine Liberation Organization. The details: Last week, Abbas had ear surgery, which his doctors reported was successful. Yesterday, he was admitted to a hospital in Ramallah, which Palestinian officials said involved routine check-ups after the surgery. Today, Abbas has been readmitted to the same hospital. The official Palestinian news agency WAFA published a statement from the director of the hospital saying Abbas had another check-up after his surgery and that the results were good. But Palestinian officials and Western diplomats had another version. They said Abbas was taken to the hospital after he suffered from a fever, had difficulty breathing, and could barely walk. They added that doctors at the hospital found that he had pneumonia with lung inflammation. But, but, but: The PLO's executive committee secretary-general Saeb Erekat said he saw Abbas in person and stressed he is "in good condition". Erekat also said Abbas will leave the hospital today or tomorrow.